"I don't pose well for pictures, we have to make it candid"
Valentina is an awesome well traveled woman who met us at her families vineyard, Pietratorcia. She took us around and gave us a tour of the property. Afterward we got a chance to sit down with her and ask her a few questions about her life and family's business. Greg Kamradt: ...and then which wine is this? Valentina Verde: This wine is from the vineyard Chenole. Its a vineyard that is in Forio. We call it a hard vineyard. Hard to harvest, hard to grow because the slope is very high. So we have a lift for operation and there are just one or two lines of vines. But this is also good because it means that those grapes take a lot of sun and are all exposed to the west and they are not covered. 20% of wine spent 6 months in the big wood barrels we saw before. GK: So when did you start working here? GK: Its a family business right? When did you family start it? VV: So the company, Pietratorcia, started 20 years ago, but before my grandfather always made wine but it wasn't a business. You mentioned before that you did 100,000 bottles a year? VV: Yes we do about that per year and most of it will stay on the island. We also ship to Berlin and New York as well. Berlin for example, I'm sure that we have a restaurant and the owner is from Ischia. We are also the direct selling point here as well. If you want the bottles you can come here and by one or a case of six. We do that a lot. VV: Before Ischia was known for its very light white wine. So what we, like other companies try and do, is change the mind of the customers. We can make light white wines, but we can also make full body white wines and very very nice red wines. Its just that the tradition that the farmers would make the soft wines to drink with the family. Also I remember that the farmers would drink wine with water so then they could have more, they couldn't drink just the wine because after they had to go work. Now everything has changed ha. GK: How many major wineries are on the island? VV: The biggest one is D'Ambra. There they have the big production, they are the historic wine company of the island. After the others, I don't know the number but, 10? Less? I don't know. It depends because there are many small ones. What made you come back to the winery to work full time? VV: I was interested in deciding exactly what to do. And also to give my energy here. Its a moment of transition for me, I just got my masters, my boyfriend is living in Santiago. I had to decide exactly what to do, so I'm working, I'm thinking, and I'm doing it in a familiar place. GK: Whats your favorite wine? VV: My favorite wine was the first one that I gave you. It is made here and very fresh. Its very good for summer. You can drink it a lot and to share with other people. Others may be more prestigious but I like this one. GK: Do you help with the actual wine making? VV: No my family just manages the place. Another family will do the wine making. I like the wine a lot. But I'm not the biggest expert on the other wines, I'm not as familiar. My father and my mother, yes, I should do a course on it but I haven't yet. I want to. 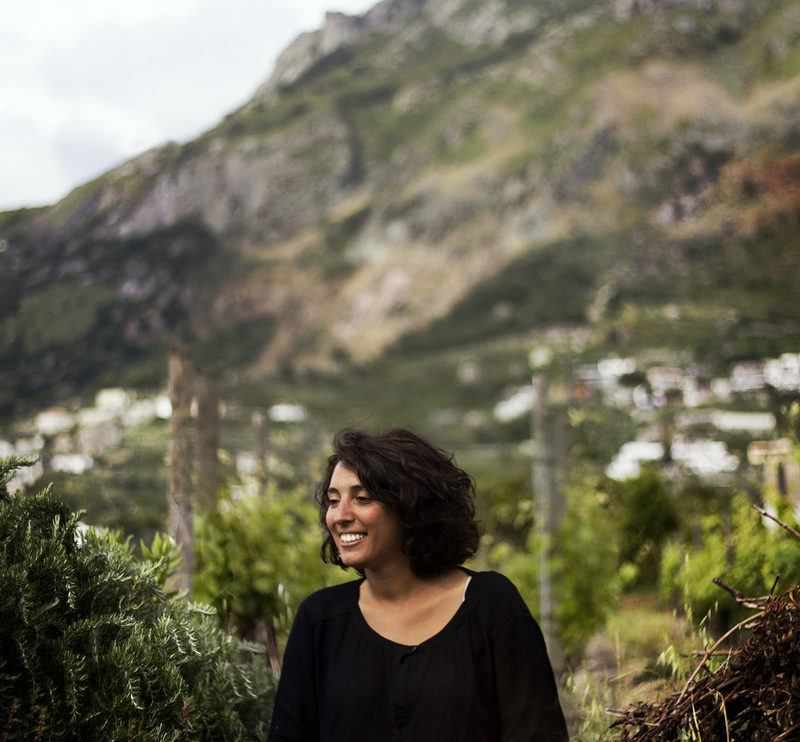 GK: How is business for Ischia wine in general? Is there high demand in the world? VV: No I don't think so. The image of the grapes from the island is getting better. There might be an expert that tries our local wines and will talk about it. But this doesn't happen a lot. Tuscany wine has been very very good. Part of the reason they are so big is the marketing push that they have done. They do a very good job and I am proud of it. Yes, because french wines were considered the only good wines in the world. But its not true, Italy has a very big tradition with wine. The Italy wine push has helped everyone here. Now you know there are other players in the world. I think it is too crowded now. Too much production. GK: Too much productoin in the world? VV: Yes, I think that trends change. Before wine was only drank by a certain type of person. Now the trend has changed and it is "so cool" to drink it now. Its a nice thing, but now for example, wine is always important, but for example there is a new trend for the artisan beers. Things change. Always harder to sell wine. A lot of people are making investments in this field, if you look at actors from television, they open restaurants and they make wine. So obviously it has been something cool to do.